IF YOU’VE BEEN RIDING HORSES since the age of six like sixteen-year-old Olivia Glenn has, competing in the Southern Regional 4-H Horse Championships is a big deal. “It was very exciting,” shares Glenn. 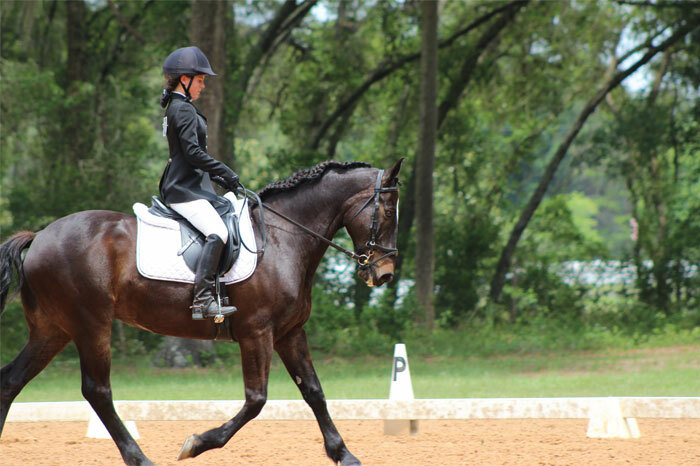 A sophomore at Winter Haven High School, Glenn advanced through the Florida State Horse Show to compete alongside other riders from the southeast at the regional championship in Perry, Georgia, at the end of July. That boost of confidence definitely came in handy, as both Glenn and Change of Heart, so named because of the distinctive heart-shaped star marking on his head, did very well at the job of representing the Sunshine State at regionals. They competed in the Dressage, First Level Test 3 event and took first place. They also competed in Dressage, Training Level Test 3, placing third. “That’s where we shine the most, Dressage,” Glenn states. The highlight for the young student was simply being at the event. “Placing so high for our first regional show was really awesome,” she says, “and being able to compete with horses from all over the southeast. The whole experience was just great.” Glenn and Change of Heart, sometimes called by his nickname Bentley, also competed in English Showmanship and a Hunter Under Saddle Equitation Class. While they didn’t place in the top ten, Glenn felt that the silver lining was that the events exposed Bentley to new things.